Today, PWG takes us to school with one of the best known tricks in the world. Quite fittingly, it's called Around the world. A trick most of us has attempted to do, some of us with more success than others. Now you can let PWG teach you the basics of the trick. It's summer, the sun is out and it's Sunday! What more could you wish for?! Well, maybe the instructions from PWG on how to do a new trick. He has grabbed Jakob's arm, pulled him outside to teach him how to do Around the World - the trick we all have had a go at. Follow the video, and learn how to do the trick. 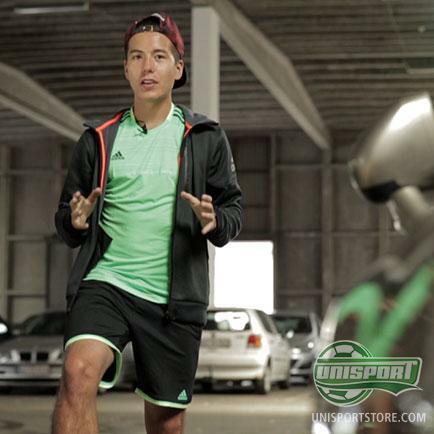 If its successful, you might wanna film your self do the trick - and upload it to Instagram tagged with #unisportlife. Then we might choose your video to feature in our next tutorial! Jakob still has some work to do, before he matches PWG freestyle skills. And to be honest, he might never get there. But you got the time to practice, so let the ball roll!